Many are under the impression that hiring a professional junk removal company is more expensive than doing it yourself. 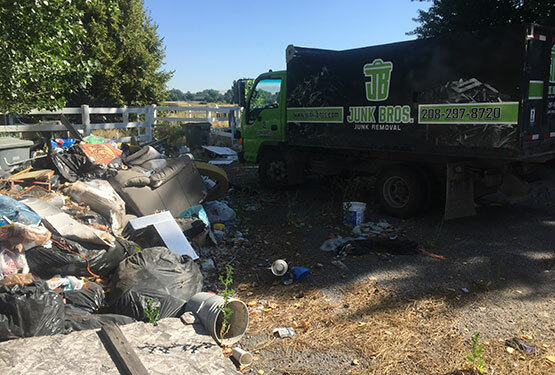 When you factor in the costs of hiring the right tools, buying supplies, driving items to the waste transfer center, and other smaller expenses, you’ll find that a good junk removal company can actually save you money. Those savings can be multiplied if you are careful and plan ahead. If you take a few preliminary steps, you can save a good amount of money. The first step to getting your junk removed at a fair price is getting an estimate. When you get an estimate, you’ll be able to add the removal services to your budget, so you know how much you might need to spend. That estimate will also help you understand the different types of pricing. Therefore, you’ll be more equipped to shop around. It’s important that you don’t just accept the very first estimate that you get. There are likely several junk removal companies in your area. You should call multiple and get estimates from them. Furthermore, you should tell them if you’ve gotten a lower estimate. Oftentimes, businesses that are based in service will be able to negotiate with you to bring your prices lower. They’ll only do that when they feel like they have to compete with another company. A junk removal service is more than just one flat fee for removing junk. There is often a square footage or a weight component to their fees. Therefore, you might be able to have them just remove the junk from one room. Alternately, you might do some of the work yourself. For example, there might be a separate fee for dismantling different items or for demolition. If you can break down the junk as much as possible, you might be able to save some money. If it is possible to do so, you can greatly benefit from recycling. This tip is actually related to the last tip. If you can remove recyclable items from your junk, that will be less for the junk removers to have to deal with. Less trash means lower costs. Finally, you should look into salvaging as much as possible. Metal is a commodity that can be refined and reused many times; that gives it value. Therefore, you shouldn’t just throw away metal items. You should see if they can be scrapped by a salvage yard or if the junk removal company also does scrapping.